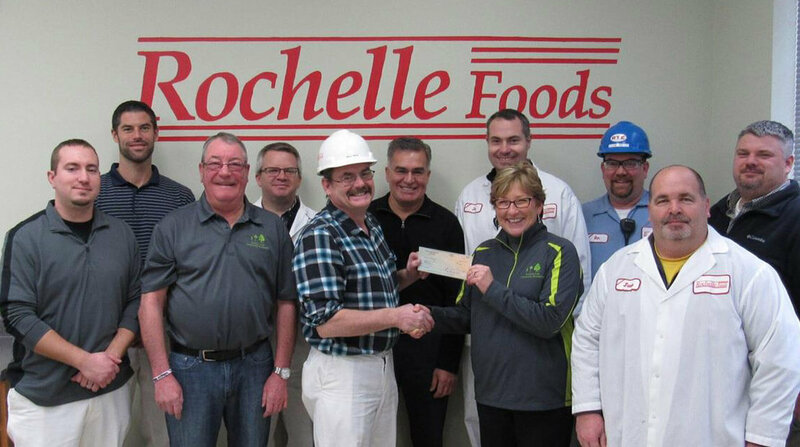 In 2011, the facility donated $5,000 to help establish the Rochelle Foods Hunger Challenge Fund with the Rochelle Area Community Foundation, a public charitable organization designed to attract and distribute gifts to benefit the community. The facility also donated $10,000 to the fund in 2012, 2013, 2014 and 2015. Hormel Foods Donation Helps Fight Hunger in Knoxville The Knoxville (Iowa) Plant donated $10,000 to Meals on Wheels in Knoxville.